Below and on the following pages are all 1 NDE Research Index citations for the group indicated just below as "Selected". The citations appear in alphabetical order by last name of sole or first author. Articles without a designated author are listed by the author designation “Staff. ” At the bottom of the page you can change the number of entries displayed on each page. 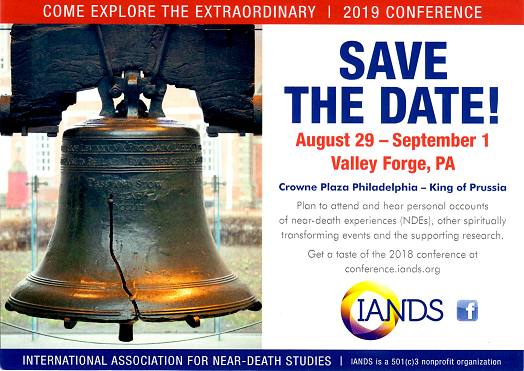 Abstract: Near-death experiences (NDEs) are reported to produce positive changes in attitudes, beliefs, and values that might be expected to enhance the experiencers' satisfaction with life. Global satisfaction with life was examined among a sample of self-selected near-death experiencers, individuals who had come close to death without an NDE, and individuals who had never been close to death. NDErs' life satisfaction was not different from that of the two control groups, suggesting that problems readjusting to life after an NDE may offset any enhanced life satisfaction that may result from positive personality transformation. Results 1 - 1 of 1 Show 5101520253050 entries.